Selling your home in the (often dreaded) winter months of November-January, can render itself to be quite difficult for some. And although, for the most part, we tend to agree that our homes are more “visibly appealing” – on the outside – in the spring and summer months, there are several perks to selling your home and making it quite charming – on the inside – for homebuyers around the holidays! We can all admit to sometimes going a little overboard with our holiday decorating from time to time – and if we’re not a person who does, we know of someone who will. However, if you’re looking to sell your home around this celebratory time of year, it might be a good idea to hold back on the decorating (just a little bit). With homes arguably looking their best around Christmas time, it’s easy to get carried away when trying to appeal to a buyer’s eye, but “adornments that are too large [or simply having too many of them] can crowd your home and, in fact, distract buyers”. When you think about it, being mindful of this particular change will encourage shoppers to still notice your home rather than what’s in it. Remember, simplicity is key. It’s also been advised by HGTV in their article on selling-tips for your home during the holidays, to avoid offending buyers by decorating your home with too many religious themed items. Instead, try “opting for general fall and winter décor”. Something else that you should certainly consider when prepping your home for buyers in the winter months is to stage it so that they can imagine themselves potentially living it. “Make your home feel cozy and inviting during showings by cranking up the heat, playing soft classical music and offering homemade holiday treats. When you encourage buyers to spend more time in your home, you also give them more time to admire its best features”. This form of staging, along with the initial steps of subtle decorating, opens up a great opportunity to take good quality photos/videos of your home in order to help in with selling process. 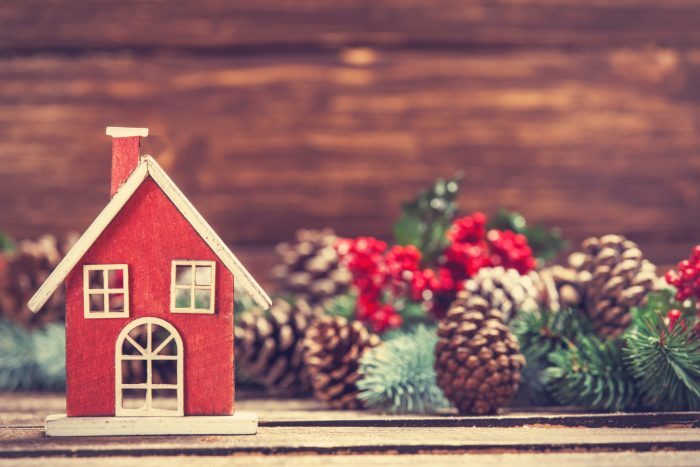 It is very possible for homebuyers to gravitate toward the appearance of a home during the holiday season (just as much as they will come spring and summer) if you work toward making your home just the right amount of festive. If you need assistance in the staging process, don’t worry – most realtors will offer you help by referring you to a reliable, professional stager. We hope that you have a safe and memorable holiday season. Happy staging! The post Staging Your Home for Home Buyers Over the Holidays appeared first on Team Realty.